There is so much to see and do in Amsterdam, you probably won’t be able to fit it all in. 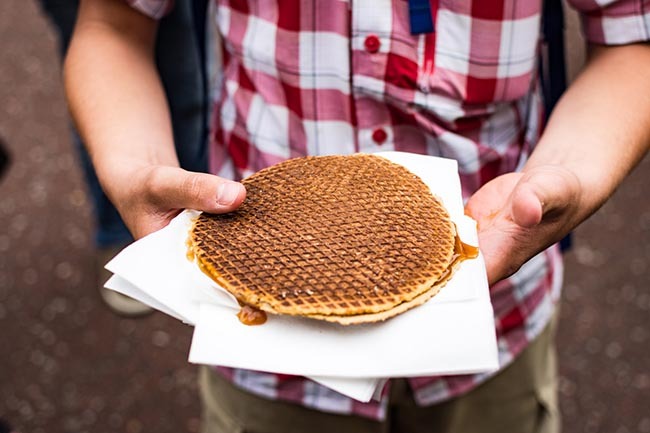 To help you decide, we have listed 20 top things to do below, ranging from visits to restaurants and attractions to gorgeous parts of authentic Amsterdam. 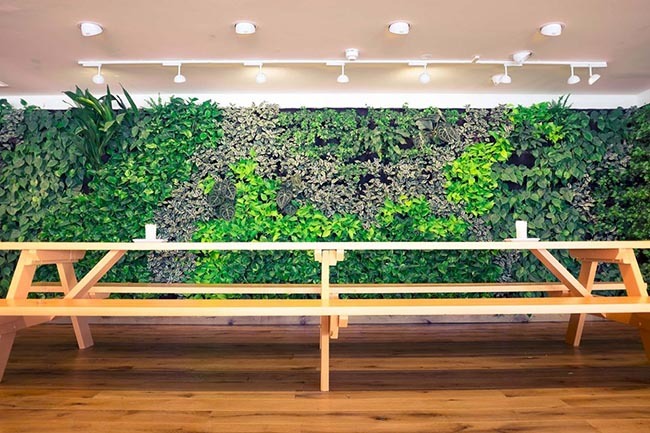 Some of these are indoors, great for when it rains, and there is something for everyone. Hopefully, this makes it easier for you to choose, so you get to see the best of what Amsterdam has to offer! From Amsterdam Centraal Station, at De Ruijterkade, you can hop on a ferry that takes you across the IJ to Amsterdam Noord. Here, you will find THT, a great café/restaurant with a lovely atmosphere, housed in a stunning characterful building. This was once the Shell canteen, where Shell employees would have their breakfast and lunch. THT is open daily for lunch and dinner, but please note, you can’t pay cash here. The café is also open at weekends. Most of the dishes served at THT are perfect for sharing! 2. 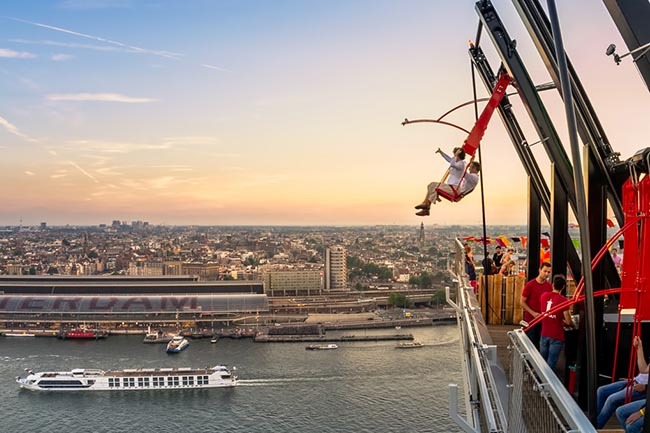 A’DAM LOOKOUT with swing above the city! When exploring Amsterdam Noord, you simply have to visit A’DAM LOOKOUT. The A’DAM Tower offers stunning views of the city of Amsterdam and its canals; plus, there is lots to do here too. Fancy having a go on Europe’s highest swing ‘Over the Edge’? From the sky deck, you are treated to the most amazing views of the city. And, if you are interested in learning more about the history and culture of Amsterdam, you can do so during the interactive exhibition. A top pick in the restaurant category is Meneer Nieges, a great place to enjoy lunch, dinner and drinks. 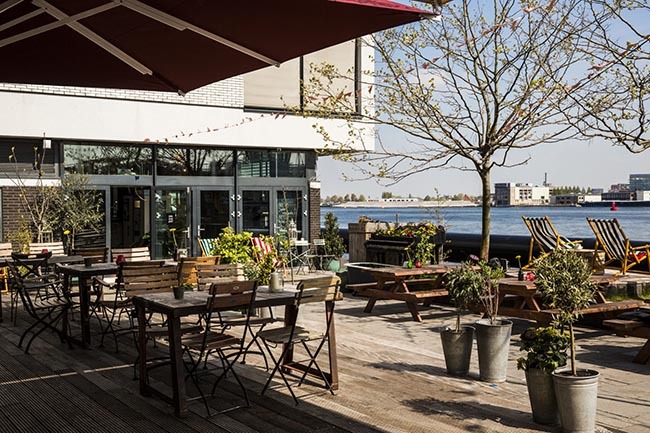 The restaurant is situated by the water, near Amsterdam Centraal Station in the centre of Amsterdam. It has an outdoor seating area decorated with a lovely little arbour and lights, making it the perfect atmospheric setting to relax. The restaurant interior is just as charming and the delicious food is of a high culinary standard. Plus, there is a DJ at weekends from 22:00. So, all the ingredients for a wonderful restaurant experience! Vegan food is super-hot right now. The Vegan Junk Food Bar is the place to be for all kinds of mouth-watering vegan junk food! Perfect for non-vegans too. 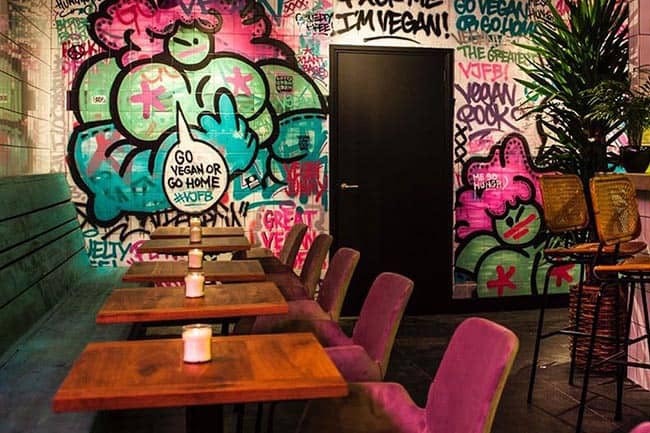 There are various Vegan Junk Food Bar outlets spread across Amsterdam, all of them serving tasty snacks such as burgers and Kapsalon. Amazingly delicious! Prefer vegan sushi or other vegan dishes? Head on over to Marie Heinekenplein, where you will find a great choice of vegan eateries offering a relaxing dining experience. Situated still very much in the city centre and within walking distance of Amsterdam Centraal Station, is Nieuwmarkt. There is a daily market in this square, as well as an organic produce market on Saturdays. The square is surrounded by great cafés, well worth a visit. It is also home to De Waag, a famous Amsterdam building that was once part of the city walls and later served as a prison. These days, it houses a café/restaurant. In one of the side streets, Zeedijk, you will find lots of Chinese restaurants. This is part of Chinatown. Many Chinese people used to work in the port which is why they lived relatively close to it. 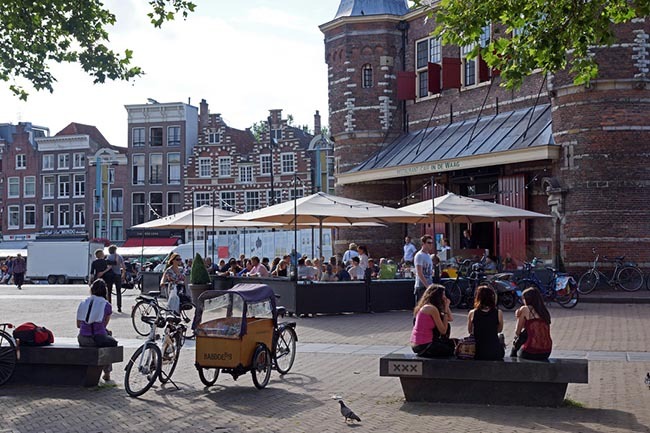 The Albert Cuypmarkt is a market square in De Pijp, a typical, cosy Amsterdam neighbourhood in Amsterdam Zuid with great cafés and restaurants. At the all-year-round market, you can buy fresh vegetables, fruit, cheese, meat, fish, flowers, fabrics, clothing, jewellery and so much more. With roughly 260 stalls (the biggest day market in Europe! ), you are spoilt for choice! But above all, this is a great place to soak up the real Amsterdam atmosphere and friendly charm. Albert Cuypmarkt is close to the Heineken Experience (another top tip!) and the Rijksmuseum is just a 10-minute walk away. Is the weather nice and dry? Why not explore the city by bike? Amsterdam is incredibly bike friendly. However, it can get a little busy and hectic, so make sure to always pay attention (as a pedestrian too) and don’t cycle too fast. That said, it really is a great way to get around the city, allowing you to reach Amsterdam’s top attractions and most beautiful hotspots more quickly. How about cycling to the 9 Straatjes (9 charming shopping streets) and Vondelpark from the city centre? And if it rains, the tram is a great alternative. 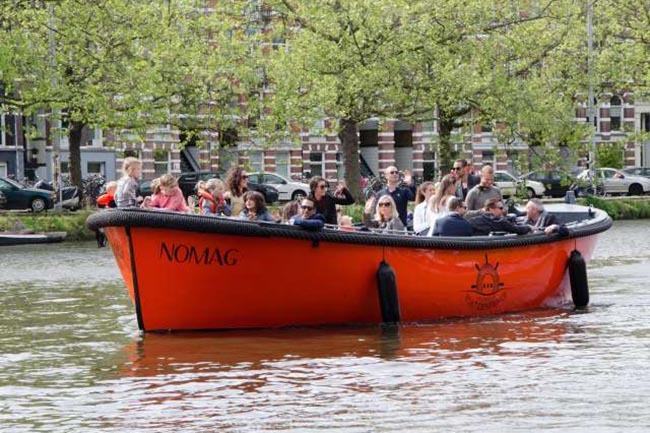 Make your Amsterdam visit truly unforgettable by hiring a boat! Sail along the Amsterdam canals and see the city from a totally different perspective. Amsterdam Boat Experience offers various luxury boats, with skipper, that show you the city’s most beautiful places from the water. Hire an open boat with drinks, or book a canal tour with food, such as lunch. Get ready to enjoy amazing views and Amsterdam! 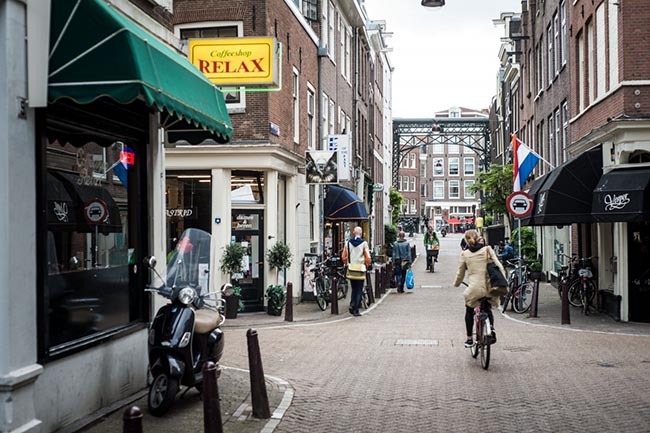 The 9 Straatjes are 9 attractive shopping streets situated in a stunning part of Amsterdam around Prinsengracht, Keizersgracht and Herengracht. With attractive shops in historic buildings, ranging from cosy shops, quirky vintage shops and great little eateries and cafés, this is a truly charming neighbourhood, popular with both locals and visitors. Rolling Kitchens is a free food truck festival with a cosy Amsterdam atmosphere. 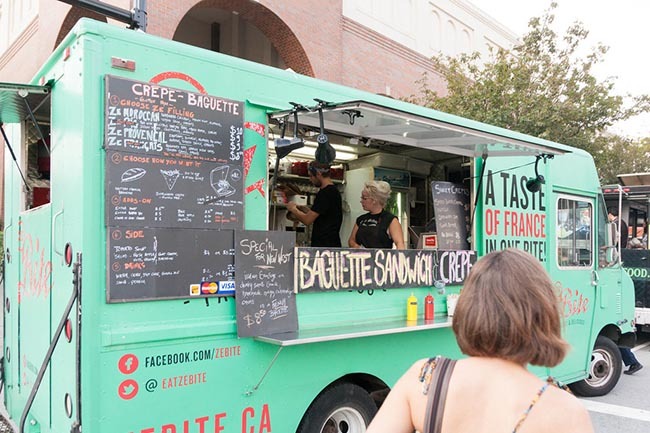 Between 29 May and 2 June 2019, the outdoor site at Westergasfabriek is taken over by food trucks. Here, you can sample all kinds of delicious dishes, wines, beers and other tasty drinks, freshly prepared or poured. So, what will it be? A pizza slice? Something from the BBQ? A vegan treat? Or a culinary masterpiece? The Rolling Kitchens festival has it all, tasty food and drink, a wonderful atmosphere and great music! Feel free to bring a blanket to sit on. Tempted? Travel by bike or by bus (bus 21) or tram (tram 21) – get off at the Van Hallstraat tram/bus stop. In the spring and summer, Amsterdam is regularly transformed into a party place. 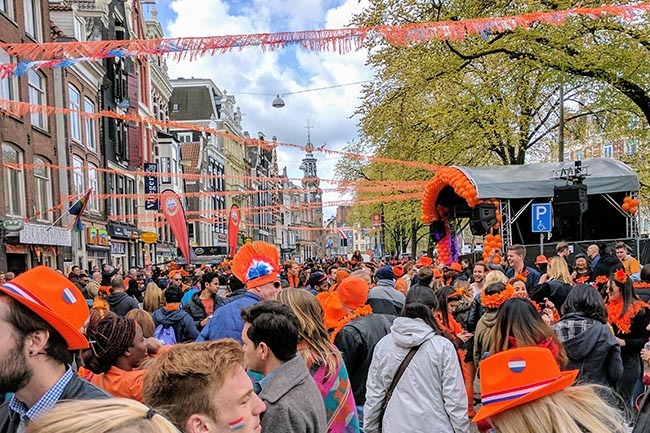 The King’s Day celebrations, for instance, which take place on 27 April every year, turn the city streets into one big party venue, awash with orange, second-hand goods stalls and music. There are many festivals to enjoy throughout the city. Most are paid festivals, but there are also a lot of free events. One of these free events is Amsterdamse Terrassen Festival, held between 22 and 25 August in Oosterpark. With 20 hotel and catering businesses participating, you can chill out (by the water) in the park with a drink and a tasty snack. Entry is free, food and drink are not. Other great (paid) festivals are STRAF_WERK and LatinVillage. During the winter months, Palazzo organises various dinner shows. Indulge in a delicious menu prepared by a Michelin-starred chef while being swept away by your host in a story acted out by a variety of artists. Acrobatics, comedy and music all accompany your mouth-watering dinner. 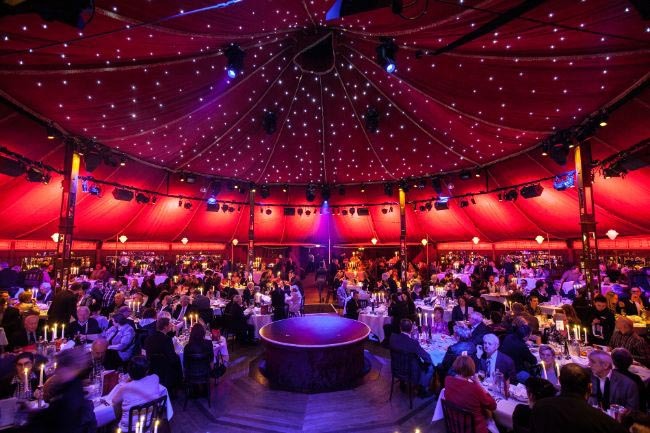 Dinner shows are organised between 22 November 2018 and 3 March 2019, Thursday to Sunday inclusive. This really is a must-experience event. 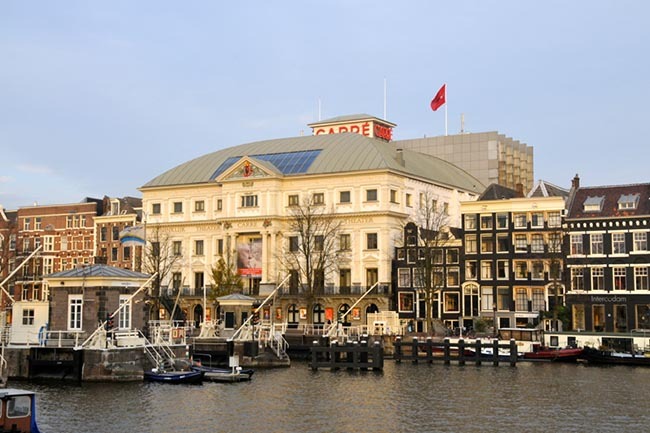 Koninklijk Theater Carré is set in a stunning location in Amsterdam. A visit to this authentic theatre on the Amstel is a unique experience! With shows almost daily at Carré, ranging from cabaret, plays, concerts to musicals, this is the place to be for great evening entertainment. Check out the 2019 calendar to plan your night out. The 2019 programme includes Swan Lake, Best of Broadway, Bert Visscher and Arjen Lubach and so much more! De Hallen in Amsterdam is a stunning, authentic building, situated in the former tram depot. Today, this location is used by a wide range of businesses. The result? Lots of things to see and do and everything is indoors! How about a visit to the FilmHallen, where you can watch a variety of films, including Hollywood’s better offerings, as well as award-winning films from Europe and the rest of the world? You can also enjoy documentaries, (film) festivals and special events here. 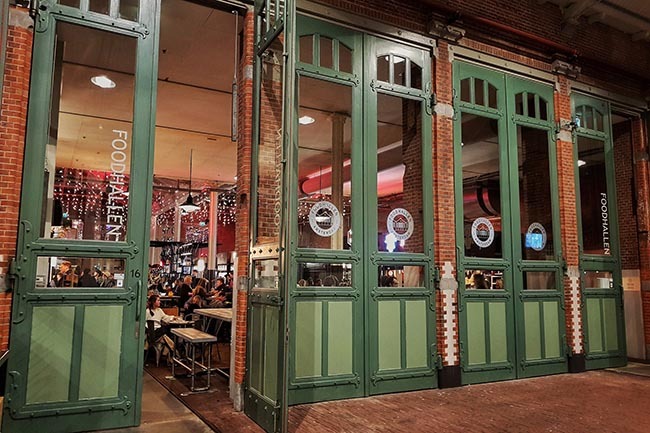 Don’t miss out on the Foodhallen, where no fewer than 20 cuisines and concepts are presented; the best Amsterdam has to offer. Make sure to treat yourself to a culinary snack and drink at this hotspot! De Hallen also houses shops, a public library (a great place to study) and meeting rooms for hire. Seen everything there is to see in De Hallen? As you leave via the Ten Katemarkt exit, take a stroll around the market where you can pick up a bunch of fresh flowers, a spring roll or some cheese. The Rijksmuseum in Amsterdam is probably the most famous museum of the Netherlands. It takes you through centuries of history, from the Middle Ages to contemporary art and paintings. There are always several exhibitions on show that highlight a particular period or movement e.g. the Eighty Years’ War or the Golden Age. But there is so much more to see at this museum, so much, in fact, that you will probably not be able to see it all. Make life easier for yourself and download the Rijksmuseum app. This helps you choose the galleries and/or areas you are interested in and map your own route through the museum. 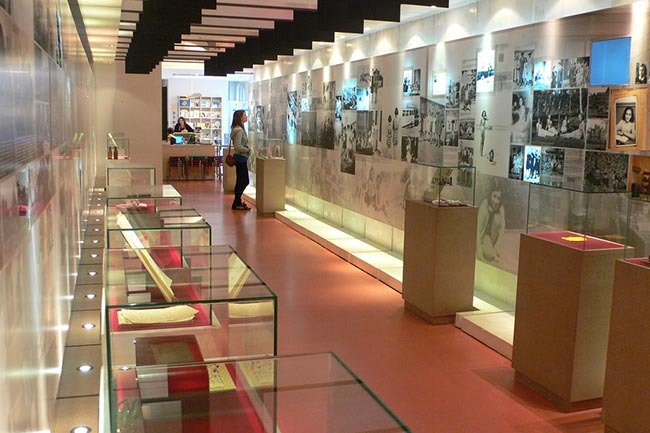 There are also set tours suitable for everyone that show you as much as possible of the museum. Of course, you will also be given information about the works of art. If you want even more information and spend a little longer admiring the works of art, you can book a tailor-made tour. Open all year round, every day of the year, you can visit the museum anytime. Planning a visit? Book your tickets online. 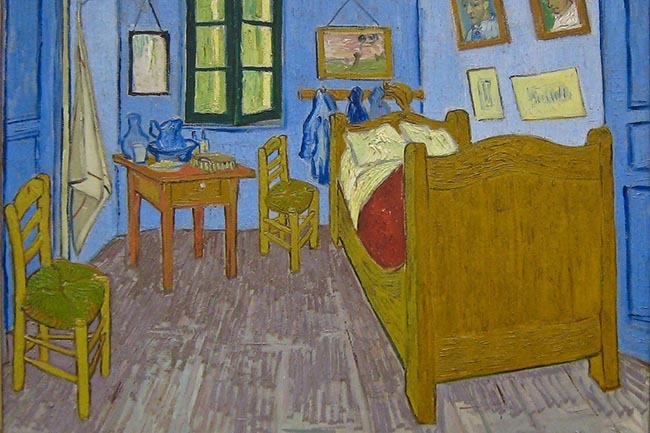 The Van Gogh Museum has the biggest collection of paintings – more than 200 – by one of the greatest painters of the 19th century, Vincent van Gogh. Discover all about his life and the times he lived in through the wonderful exhibitions and letters on display. Ready to step into his world? This museum, too, is open 365 days a year! Tickets are only available online, but visiting the website beforehand and reading some of the information available is handy in itself because that way you are be well-prepared. A little bit of Amsterdam history and craft distilling, topped off with a delicious cocktail. This is a treat for all the senses, the perfect outing for anyone over 18! Bols is the oldest brand of distilled drinks, enjoyed all over the world particularly in cocktails. The brand was founded in Amsterdam in 1575 (although the Eighty Years’ War had already begun, things were still relatively peaceful in Amsterdam and trade simply carried on). This fun Cocktail & Genever tour lasts about an hour. At the end of the tour, you will be able to choose and taste a cocktail – alcohol-free options available, so there is something for everyone. 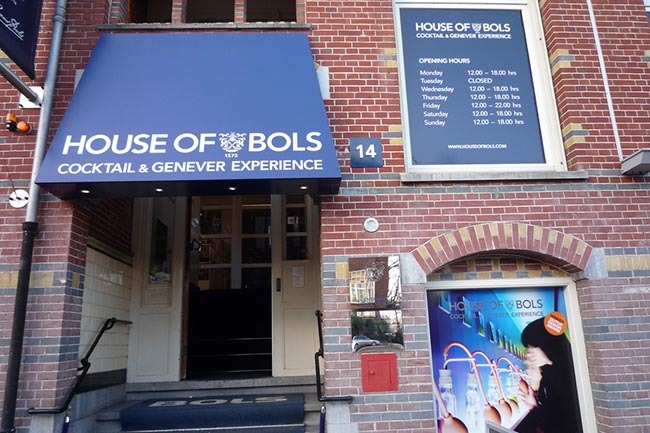 The House of Bols Cocktail & Genever Experience is very close to the Rijksmuseum and Van Gogh Museum! 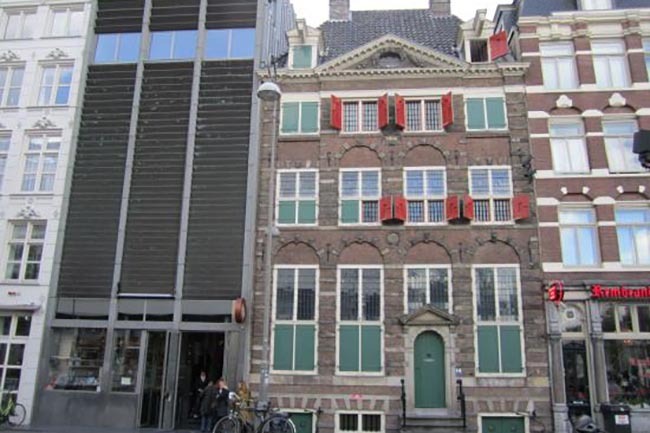 Between 1639 and 1658, Rembrandt van Rijn lived in a beautiful house in the centre of Amsterdam. 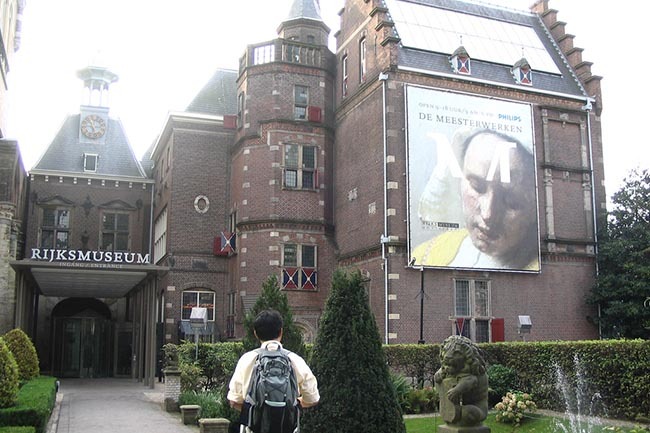 Today, it is a listed building and museum, decorated the way it would have been when Rembrandt lived here. All the etchings he created are exhibited at the museum. Besides being an artist, he taught many pupils and was also an entrepreneur. All of this, you can experience during an interactive visit to the Rembrandt House Museum. The fact that this was his house, the authentic decor and interactive activities give you a great sense of what Rembrandt was like. Did you know that in Rembrandt’s day artists didn’t have the paints that we can buy in the shops today? They had to make their own! You can discover how they did this and so much more during your visit to the museum. A visit takes about 1 to 1.5 hours. Tickets are available online and at the museum. Looking for a modern, educational attraction? Release your inner scientist at the NEMO Science Museum! Humankind has achieved so much already in the fields of science and technology, but there is still so much more to discover. Just choose what interests you. You could learn more about the natural phenomena of light and sound, for instance, and how they are connected. Or maybe you want to explore the universe? Or how about doing some experiments? You can do it all at the NEMO Science Museum! NEMO Science Museum is a 12-minute walk from Amsterdam Centraal Station. 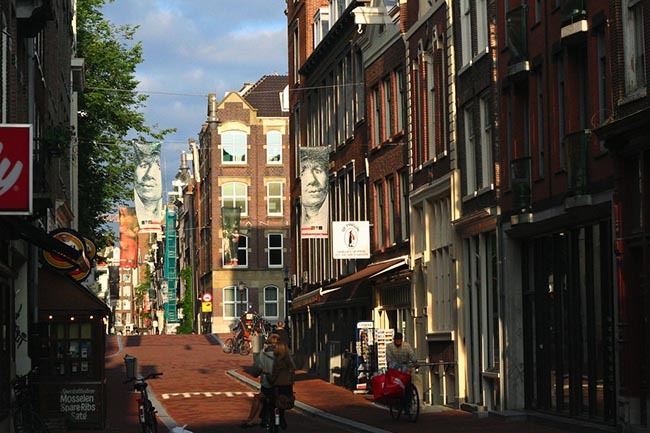 The Anne Frank House illustrates a fairly recent time in history that touches many. 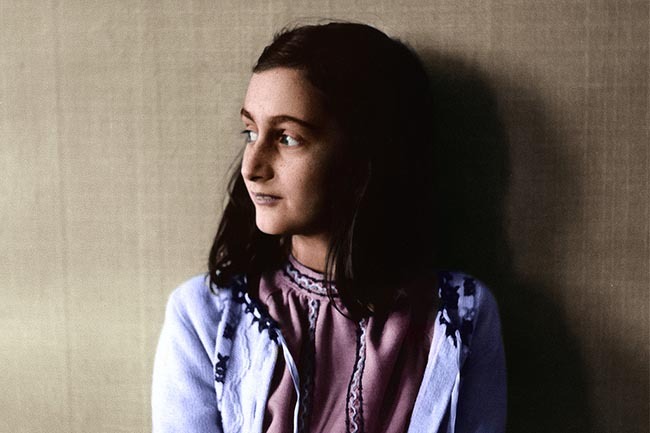 Anne Frank was born in Germany, but because of anti-Semitism, the family soon moved to Amsterdam. Anne goes to school here like any normal girl and has friends. As the war goes on, her freedom is more and more restricted and she begins to write in her diary; at that time, she is still not in hiding. She also writes short stories and the beginning of a novel. After hearing an appeal on the radio for people to keep war diaries, Anne starts to faithfully record her experiences. Thanks to these documents that survived the war, her story can be told years later at the museum. You can follow the story via an audio tour and in the annex, you can see photos, quotes and film clips. Because this is such a popular museum, there is a special system for buying tickets: 80% of tickets are sold 2 months in advance and the remaining 20% are sold on the day itself. So, you have to be quick, especially if you want to visit the museum during the school holidays. Our advice? Visit the annex in the morning and explore the rest of the city afterwards.